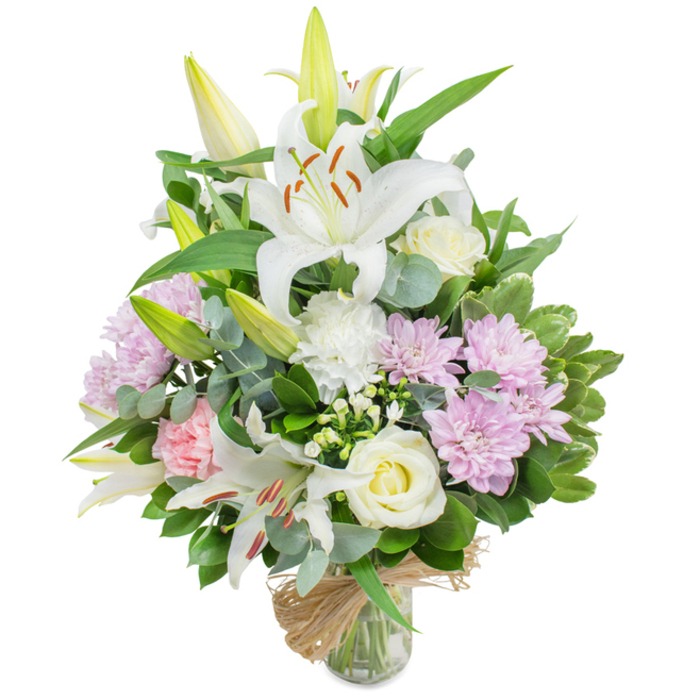 A gentle and elegant combination of white lilies, white roses, white carnations, pink carnations, pink chrysanthemums, bouvardia, eucalyptus leaves, ruscus and pittosporum. 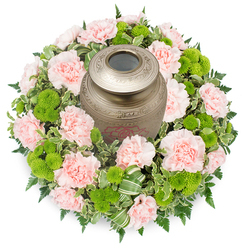 This bouquet is the best way to express your deep sorrow. Original size bouquet pictured. 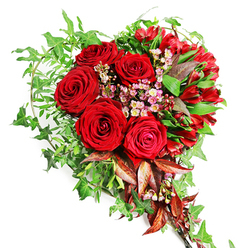 Original bouquet contains 8 stems. High quality flowers. The arrangement was as I expected. Big thank you. Very professional flower shop. 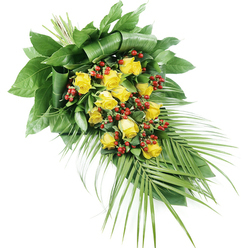 Delivered the flowers on time and the recipient said they were in excellent condition. Thanks! Got this flowers delivered to my home and they looked just as on the website (even better). I appreciate your lovely creation. 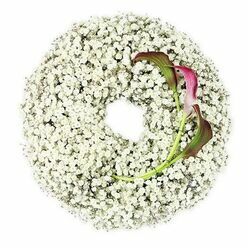 Ordering the flowers was really easy. I just called and a lovely lady took the order. 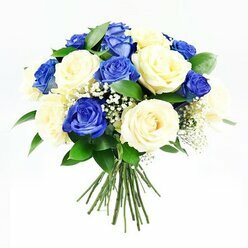 She offered this beautiful bouquet to suit my budget and I liked it very much. 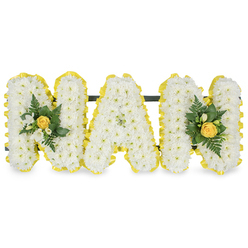 Good way to send sympathy flowers.